Junk King Indianapolis is a professional junk hauling service that provides rubbish removal assistance for homeowners, apartment renters and businesses. That rubbish removal can actually cover a lot of items. You can hire Junk King just to remove a few small things or clear out massive amounts of construction waste. One area where Junk King can be a big help is with an estate cleanup. This is a task that has to be taken care of swiftly in order for a property to be cleared and prepped for sale. One call to Junk King put a plan into action that will make sure your estate cleanup needs are met in a very timely and affordable manner. An estate cleanup literally means clearing the house of everything that isn’t nailed down. It starts up in the attic and is incomplete until the last item is carried up from the basement. Depending on the level of items that remain after estate sale, this cleanup could be a big task if you were to try to do it on your own. When you have the Junk King crew on the job you won’t have to lift a single item or carry anything down a flight of stairs. Your only role in this process is to inform the movers what you want taken away. If everything is going, then you can tell them that and relax on the porch while the job gets done! The Junk King pricing policy is based on an estimate of how you’ll fill up the truck with all the stuff you’re getting rid of. Junk King crews know exactly how to pack things up and how to get a lot of things into as possible. You appreciate that effort because it will mean that you will be paying the low-end of the price scale. It doesn’t matter how heavy something is; it only matters how it fits onto the truck. When you call to set up your appointment, Junk King ask you general terms how many things you getting rid of. If you tell them it’s an estate cleanup with a whole house that has to be cleared, then they will probably give you more movers to get the job done. Again, you won’t be paying any extra. Your estate cleanup isn’t an impossible task when you hire Junk King Indianapolis to get it done. Call for session today. This entry was posted in Indianapolis Junk Removal and tagged estate cleanup, Junk King, junk removal on March 31, 2019 by Junk King. Last updated March 31, 2019 . In order to stay competitive, and office needs the best equipment. That starts with updated computers and telecommunication systems for the staff. But it also means efficient copiers and fax machines. Yes, some businesses still use faxes! You also want to make sure that the staff has a comfortable environment to work. That means ergo dynamic chairs to protect their backs and clean spaces to be more productive. In overnight cleaning staff can do a lot to help with the general cleaning but when it comes to getting rid of old office furniture and equipment you want to bring in outside help from Junk King Indianapolis. Every junk removal session handled by Junk King is staffed by two capable movers. This is a team that is the very definition of “no problem.” Ideally, it would be helpful if there was a freight elevator to remove your old office furniture. But if the Junk King crews need to navigate up and down staircases to avoid disruption of the business, then that is exactly what they’ll do. They might also have to dismantle some things like a desk or cubicle walls in order to get it out of the office and the building. The Junk King crews all have a lot of experience with this type of disassembly. You just show them what you want removed and they’ll take care of the rest. When you hire Junk King to remove your old office furniture you were hiring a green business. Junk King has a proven track record of recycling and repurposed in what they collect for disposal. By extension, you are able to promote your company as “green,” too. Junk King has partnerships with many of the recycling centers throughout the Indianapolis area. They know just what each specific facility will take in. You don’t have to make that determination with the stuff that you’re getting rid of. Just leave it all to the Junk King crew. When Junk King has been is clearing your office of unwanted items, you’ll find that you have a lot more storage space and a better flow. Don’t get stuck with old office furniture and equipment. Give it all to Junk King Indianapolis today. This entry was posted in Indianapolis Junk Removal and tagged Junk King, junk removal, office furniture on March 25, 2019 by Junk King. Last updated March 25, 2019 . What is the toughest task that you have to take on for your spring cleaning? Is it the oven? The drapes in the living room? The kid’s bathroom? As challenging as the tough cleanups are is always a great sense of satisfaction when the job is done. That is certainly cause for celebration. This year when you start to put together your spring cleaning plans you may want to consider hiring Junk King Indianapolis. They won’t be able to help you with any mopping dusting but they can go a long way towards getting your home clear of rubbish and that can have a huge impact on how clean everything can get. The rubbish you have in your home has probably been there for a while. This would be the big stuff that you can’t easily toss out. It could also be all the unwanted items you have in your closets and cabinets. Spring cleaning should be all about removing those items and sorting through them. What you could be left with is a lot of stuff that you don’t need anymore. That can all be turned over the junk. The other things that can be turned over the Junk King can be the bigger items like a sofa, mattress, bedframe, crib, bookshelf, desk or any other furniture item that you want to replace. Junk King can also take away all the outdated e-waste that you have in storage. Just think of all the space you’re going to reclaim once that rubbish is removed. Junk King makes scheduling easy. You can book online or over the phone. The majority of appointments are completed within 24 hours. If you need more time to sort through all your storage areas, then you can set up a schedule for the weekend. Keep in mind, that everything collected by Junk King also has a chance to be repurposed. This doesn’t mean taking everything to of recycling center. The bulk of what Junk King collects usually ends up at a charity. That’s a great way to get rid of the things you’re not using anymore but could still be used by others. This year, start off your spring cleaning with the rubbish removal session from Junk King Indianapolis. The house will look amazing afterwards! This entry was posted in Indianapolis Junk Removal and tagged Junk King, junk removal, rubbish removal on February 28, 2019 by Junk King. Last updated March 1, 2019 . What is the next big cleanup project you have on your agenda? It might be that you want to tackle the bedroom closet. Perhaps you are overwhelmed with clutter from your garage that needs to be cleared out. You could also want to make more storage space in the basement or up in the attic. Those are all great cleanup projects to take on and they are the perfect excuse for hiring Junk King Indianapolis. These are the professional junk haulers who can make your next cleanup project go very smoothly and without a lot of effort on your part. The biggest part of a cleanup project is to decide what to do with all the debris you’re going to create. Sorting through boxes, cabinets, drawers and closets are going to have you pulling out a lot of items that need to be permanently removed from your home. Those the kinds of things that Junk King can haul away in a single session. It might be a dozen boxes of stuff that you are getting rid of. Just think of how much more space that’s going to create around your house. Another big cleanup job could happen during a remodeling project. Whether you are finally creating your dream kitchen or replacing the backyard deck there’s going to be a lot of demolition waste that has to be cleared away. Throughout the project there also be plenty of material scraps that will accumulate. All of that can be collected by Junk King at the beginning, during and at the end of the job. Junk King will provide you with your own moving crew and truck that will help facilitate this cleanup. That is really all you need to get rid of the stuff you no longer want around the house. That junking truck can hold as much as six for pickup trucks. Whether you use up a little or a lot of that truck space doesn’t matter to Junk King. All that matters is that you will be satisfied with their work. To find the right junk hauler for your next cleanup project look no further than Junk King Indianapolis. This entry was posted in Indianapolis Junk Removal and tagged junk hauler, Junk King, junk removal on February 24, 2019 by Junk King. Last updated February 24, 2019 . At last count, there were over 48,500 self-storage facility spread out across the United States. That is almost 3 times the amount of McDonald’s restaurants. Clearly, looking for storage is a big issue for a lot of folks. Some of these storage units are used for business inventory. There are times when people can put things in storage when they are move out of the country. Then there is the need just because you run out of room in your home. That essentially means that the things you’re putting in storage are things you don’t really need. After all, you’re not going to drive to a storage facility just to get a sweater! Before you commit to renting a storage unit perhaps you should commit to hiring Junk King Indianapolis for a thorough rubbish clearing session. That is sure to open up a lot more storage space around your home. In practical terms, not everything in your home is worth keeping. You just might be holding onto some things because they can’t be thrown out in the trash. That is certainly true with furniture and kitchen appliances. But you can also add computers, televisions and printers to that list. Those all the kinds of things that need to be recycled at a certified e-waste facility. Finding one of those facilities that is open around your schedule is probably the reason why you’re still holding onto those things. That can all change with one call to Junk King. Not only can they pick up all the furniture and appliances but also handle all that e-waste disposal. Junk King won’t be doing the actual dismantling but they can certainly make sure that those pieces get to the right recycling center. You want to give yourself plenty of time to sort through your closets and other storage areas in the hall. Pull out all the things that you know you’re not to use again and set them aside. With the Junk King crew arrives with a scheduled appointment they can pick up everything right from the spot. Yes, all that junk you been holding onto for years can finally be cleared away without you lifting a finger. 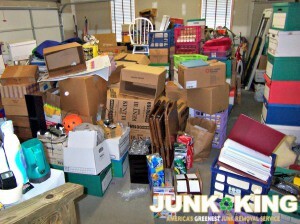 The quickest way to find more storage space in your home is to work with Junk King Indianapolis clear out the rubbish. One call makes it happen. This entry was posted in Indianapolis Junk Removal and tagged Junk King, junk removal, storage space on January 31, 2019 by Junk King. Last updated January 31, 2019 . There seems to be an epidemic of trash dumping around the city and residents are getting rightfully upset. Neighbors between Norwaldo and Kingsley are spotting dozens of tires and other rubbish being dumped in the alleys behind their homes. Sadly, it only takes the first “drop off” of a tire or an old piece of furniture for others to think this is the place to dump their trash, too. It’s even more disturbing to note that in order to bring this trash into an alley someone has to go through the effort of loading it up on the truck, driving around at night and then dumping it. It would be so much better if they just called Junk King Indianapolis from the start. These are the professional junk haulers that are going above and beyond the call to make sure there is no junk left out on Indianapolis streets. Junk King Indianapolis is a professional service. As such, the crews working for it have been that thoroughly vetted and trained. Not only do they have experience with lifting and loading all kinds of heavy objects but there also licensed and insured. That sets them apart from other services that claim to be professional. Junk King is part of a national chain of junk haulers that have a high standard of customer service to adhere to. They want to make getting rid of your junk as smooth a process as possible. When you call to set up your appointment with Junk King, you’ll be asked to pick a day and a two-hour window for the session. That session will be staffed by two of those professional movers. That is really all you need to remove all kinds of unwanted rubbish. However, if you are dealing with a situation that is a much bigger cleanup, then you can count on Junk King to provide you with additional teams and trucks. Once they start cleanup, Junk King won’t stop until your completely satisfied. Before they begin loading the truck the crew will provide you with an estimate for the job. Each pickup is different but the price structure remains the same. Junk King charges a flat fee based on how all the stuff will fit on to the back of the truck. It comes down to a matter of packing and not weight. If you want to get rid of junk the right way, then put Junk King Indianapolis on the job. This entry was posted in Indianapolis Junk Removal and tagged Junk King, junk removal, rubbish on January 25, 2019 by Junk King. Last updated January 25, 2019 . Do you buy your Christmas tree from the same lot every year? Maybe you are a family that likes to cut down the road tree. However, the tree gets into your home, this is the time to start thinking about getting rid of it. As sad as that might be, you can’t keep the Christmas tree up all year long. You also don’t have a lot of opportunity to have the municipal garbage collectors pick up your tree. Typically, they only offer that service one day. If you happen to miss that day, then the tree will be stuck in your curb for a long time. 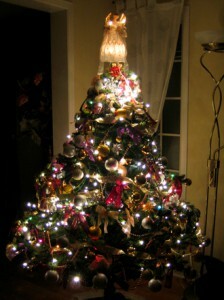 A much more reliable option would be to hire Junk King Indianapolis for your Christmas tree removal. That way you can get it done on your schedule. But you don’t just have to stop at the Christmas tree. With Junk King on the job, you can take full advantage of the crew and their truck to get rid of all kinds of unwanted clutter. Think about the big stuff that you’d like to get rid of from your home. There might be an old couch down the basement that is not “improving with age.” There could also be some items you managed to shove out into the garage like an old refrigerator or washing machine. Those needed to get remove so that you can bring in a replacement but that doesn’t mean you have to stick with the old model. All of those big items can be turned over to Junk King. The crew that will be coming to your house will have no problem lifting and loading those kinds of pieces onto their truck. Yes, this will be the same truck where your Christmas tree can end up but there will be plenty of room for all the rest of your unwanted junk. You can schedule your appointment with Junk King with one phone call or you can handle it online. You get to pick the date in the two-hour window that works best for your time. That means you don’t have to be a rush to take down the Christmas decorations! This year, let Junk King Indianapolis handle your Christmas tree removal and junk hauling all in one session. It’s the perfect plan! This entry was posted in Indianapolis Junk Removal and tagged Christmas tree removal, Junk King, junk removal on December 31, 2018 by Junk King. Last updated December 31, 2018 . The start of the new year is a good time to break bad habits. Whether that is smoking or chocolate, it’s good to set a goal on January 1 and let that resolution carry you throughout the coming months. You can set other goals beyond just personal growth ones. Those goals can include finally getting rid of all the rubbish around your home. To make that happen you won’t have to struggle one bit as long as you put Junk King Indianapolis on the job. Only you can define what the rubbish is in your home. It might be a piece of furniture that is worn out or could be an old electronic gadget that is been upgraded and replaced. It could be shoes or sweaters in the closet or broken toys in a box. The common denominator among all those types of items is the simple fact that you no longer need them. Once you’ve made that designation some of those rubbish items could be tossed out into the trash. But if you’re undertaking a major cleaning, then your garbage cans will quickly overflow. There’s also the issue of the bigger pieces that will fit into the garbage can. All of that stuff can be gathered up by the Junk King crew and swiftly loaded onto the truck. Then it will be gone for good! Of course, just because your “done” was something doesn’t mean it is 100% trash. It could be put back into circulation or use by a charity. Junk King knows exactly what the local charities looking for. They will happily drop off the things they collect from your home to those organizations. Nothing has to go to waste or end up in a landfill as long to Junk King is on the task. The cost for Junk King’s rubbish removal is very fair. It is a price that’s based upon how much space your stuff will take up on the back of the truck. Everything will get packed in as tightly as possible so that you get to pay the low end of the price scale. Junk King Indianapolis wants to make rubbish removal from your home affordable, safe and fast. Put them to the test today. This entry was posted in Indianapolis Junk Removal and tagged Junk King, junk removal, rubbish on December 26, 2018 by Junk King. Last updated December 26, 2018 . In every household, there is a favorite holiday meal or cookie recipe that gets put to use at this time of year. If you are expecting out of town guests for the holidays, then you probably want to hold off cooking up that treat until they arrive. Of course, it’s not just gathering the ingredients for that special dish to make your guests feel welcome. You also want to make sure that guestroom is going to be cozy and inviting. That should begin with a call to Junk King Indianapolis. They might not be able to put a mint on the pillow but they will certainly be able to help get that room clear of all the clutter that has accumulated since the last time someone spent the night. 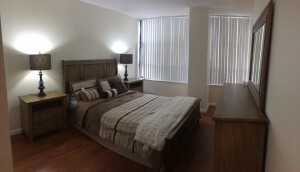 A guestroom is a nice feature for any home. But it tends to become the “overflow” space for a family. It is often much easier to put boxes of old clothing and the odd piece of unused furniture into the guestroom as opposed to anywhere else in the house. After all, if you’re not going to use something why keep it out? The result is that a guestroom can quickly have as much unwanted clutter in it as a garage, attic or closet. That’s not going to be very welcoming to your guest. One session with Junk King is all it will take to get everything cleared out. Let us assume that the items you have in storage in your guestroom are things you are done using. Along with the clothing and furniture there might also be some household gadgets that were once Christmas presents but never used. They could also be all kinds of old toys, computers, books and sporting goods that are also not being utilized or have been replaced. All of those things sound like they would make perfect donations to charity. When you hire Junk King for the removal, you can count on a charity drop off being part of the scenario. That’s a very nice gesture especially this time a year. When Junk King is done with the guestroom, they can also do a quick clearing of any other object you have throughout the home. Your holiday visitors will appreciate a clutter free guestroom. Count on Junk King Indianapolis to help make that happen today. This entry was posted in Indianapolis Junk Removal and tagged guestroom, Junk King, junk removal on November 30, 2018 by Junk King. Last updated November 30, 2018 . Have you brought down the Christmas decorations from the attic yet? The weekend after Thanksgiving is a very popular time for the lights. That’s the official start of the Christmas season with regard to decorating. Next will come the Christmas tree and all the ornaments. Throughout the holiday season you may be adding other little decoration details. This is the time a year when homes get transformed and it just puts everybody in a great. To get your holiday preparation started off on the right foot, you might want to take the opportunity to bring in Junk King Indianapolis. 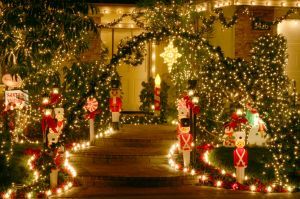 They won’t be able to help with hanging lights but that certainly help with getting rid of unwanted rubbish clutter and that can make a huge difference around your house. What are some of the things that you’ve been holding onto that you’d like to get rid of? Those kinds of items fall into two basic categories: things that are too big for the trash and things that shouldn’t be thrown in the trash. The things that are too big for the trash are items like furniture or kitchen appliances. Those are the kinds of objects that need to capable movers to haul out of your home. That’s exactly what Junk King will provide you with. The crews working with Junk King have a lot of experience moving all kinds of bulky and heavy objects from homes, businesses and apartments. You might think that what you’re asking them to remove is going to be a challenge but it won’t be for these experienced crews! As for the things that shouldn’t be thrown in the trash, that would be items like old computers, televisions, printers, monitors or DVD players. That is electronic waste that should only be disposed of at a certified facility. Junk King will strive to make sure those items are dropped off at the nearest recycling center. A lot of the other items that you getting rid of could be dropped off for a charity. Don’t worry about the conditions of might be it. Junk King knows which organizations will accept broken furniture. It’s a great way to make sure nothing asked to waste. When your holiday preparations start with a junk clearing session from Junk King Indianapolis you will definitely enjoy the difference it makes around the house. This entry was posted in Indianapolis Junk Removal and tagged holiday preparations, Junk King, junk removal on November 24, 2018 by Junk King. Last updated November 24, 2018 .